After getting accepted to ESMT Berlin’s Master’s in Management (MIM) program, I moved to Berlin from NYC in August 2017 and quit my first job, a consultant at IBM, where I worked for almost two years. The transition wasn’t easy, especially because I knew I would have to complete an internship as part of the MIM curriculum despite having both internship and job experience. I learned about Zalando, the leading fashion platform that serves 17 European markets, when starting my program because a few former MIM students had previously interned there. Prior to that, I never heard of the company. After following some Zalando news for a few months, I fell in love with the culture, the people, and the initiatives so applying for an internship was naturally the next step for me. From April to September 2018 I was a B2B Marketing Intern within the Brand Relations team at Zalando. There are so many awesome projects I worked on including working on a strategy-related project for my team. I also worked on fun projects like helping organize Zalando’s Strategic Partner Day, an event held twice a year exclusively for brand partners across 100 Zalando brands, and Zalando’s 10th Birthday party (partner edition). Although I previously had four internships, this one completely blew my expectations. What really impressed me about Zalando is the work culture. My ideas turned into reality, my feedback was implemented, my mind was challenged to be creative and my role in the team made a difference. Coming from a traditional company, there are many things I would not go back to now that I experienced this type of culture. This experience not only gave me an opportunity to apply my newly acquired knowledge from my master’s program to real projects but also helped me build new skills that will give me a strong finish in the last year of school. If you’re a student looking for an internship/working student role and are considering Zalando, I have a few words of advice for you. Do your research – At Zalando, it’s not just about selling clothes. There are so many initiatives and projects that define what the brand stands for and believes in, and learning about that will give you better insight into what to expect during your first months. Zalando is all over social media so check out the InsideZalando profiles on Facebook and Instagram, follow company news on LinkedIn, and sign up to receivenews via e-mail. Talk to a Zalando – The word „Zalando“ is also a noun for a person who works there. Reach out to either another intern/working student or someone who has worked there for a few years and ask them about their roles and what a typical day at the office looks like. 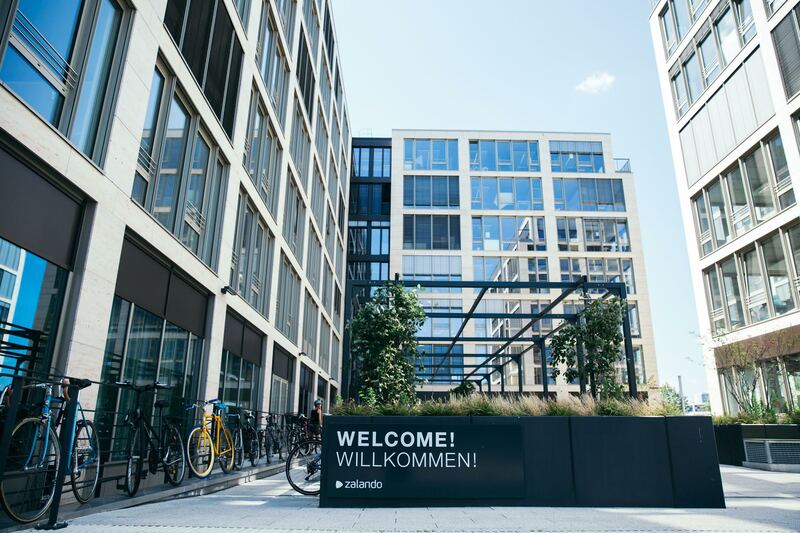 From the outside looking in, you can’t gather much from the Zalando website alone in comparison to what is actually happening within all departments. Be yourself – Zalando always encourages applicants to be authentic. It doesn’t make sense to adjust your personality during an interview only to get the job and realize that you prefer another type of working culture, right? Save yourself the time and trouble by being yourself during the whole process because at the end of the day, the culture fit works both ways as you’re also trying to see if Zalando’s culture is suitable for you. Meet Zalando and other companies at the FS Career Day!